Our planet can be too beautiful to be plausible some days. 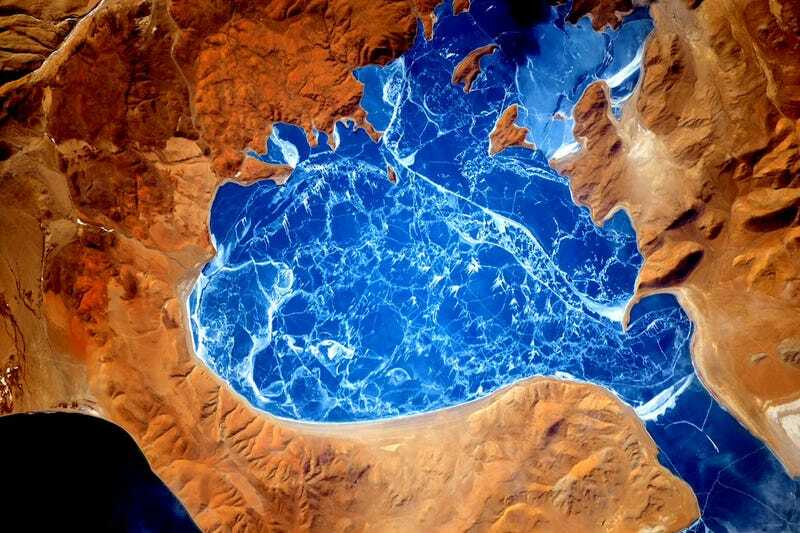 This frozen lake in the Himalayas is shockingly deep blue set against the slightly-oxidized rusty landscape. And it’s completely real, photographed from the International Space Station. NASA astronaut Scott Kelly photographed this patch of the Himalayan mountains, posting it on January 9, 2015. Contact the author at mika.mckinnon@io9.com or follow her at @MikaMcKinnon.